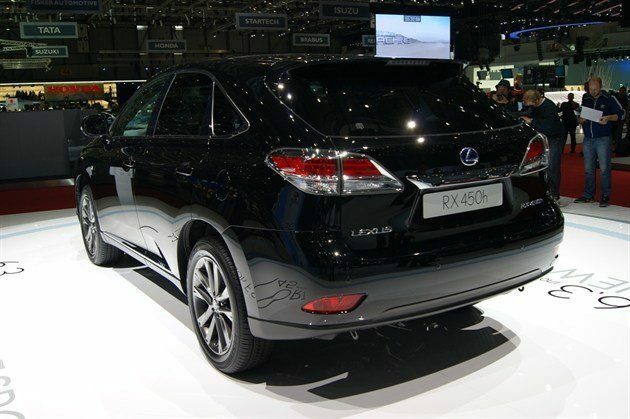 Lexus has premiered its updated RX 450h at the Geneva Motor Show. It gets a tweaked front end, new tail lights and an overhauled interior. The update brings the styling into line with the new GS, which will also be displayed at the show before going on sale in June. Pricing should remain the same, starting at around £45,000. There have been no changes to the hybrid powertrain. Power output is the same 295bhp as before, with emissions of 145g/km. Besides the tweaked styling and improved interior, more standard equipment is on offer, including a new power tailgate and iPod/ Aux in for all models. A new F Sport model will bring with it further styling enhancements, with a bolder, sportier look. and a very slight power tweak to 299bhp. Besides the RX 450h, Lexus also showed its new GS model and the LF-Lc hybrid sports car concept.